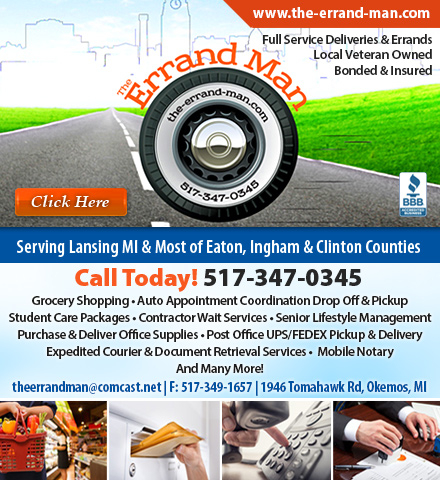 The Errand Man, LLC, located in Okemos, MI, is a local veteran owned and operated business providing personal and business errand and concierge services throughout Lansing and most of Eaton, Ingham and Clinton Counties. Owner Skip is your one-call for all of your personal assistant needs. 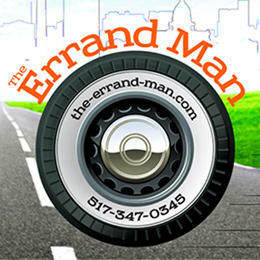 From grocery shopping and appointment scheduling to meal delivery and mobile notary, we offer a wide variety of services for individuals, businesses and travelers. Do you need more free time? We can handle everything on your to-do list so you can focus on more important things such as spending time with family or running your business.